I have always been on the heavy side. When I entered puberty, my waistline also started growing rapidly. I blame it on bad food choices and immobility. Let me also not forget the fact that I frequently skipped breakfast. I did a lot of diets in the past and I succeeded in losing some pounds. But what I lost, I gained easily when I got off the diet program because I also stopped exercising. I'm not going to defend myself. I know that I was lazy and undisciplined. 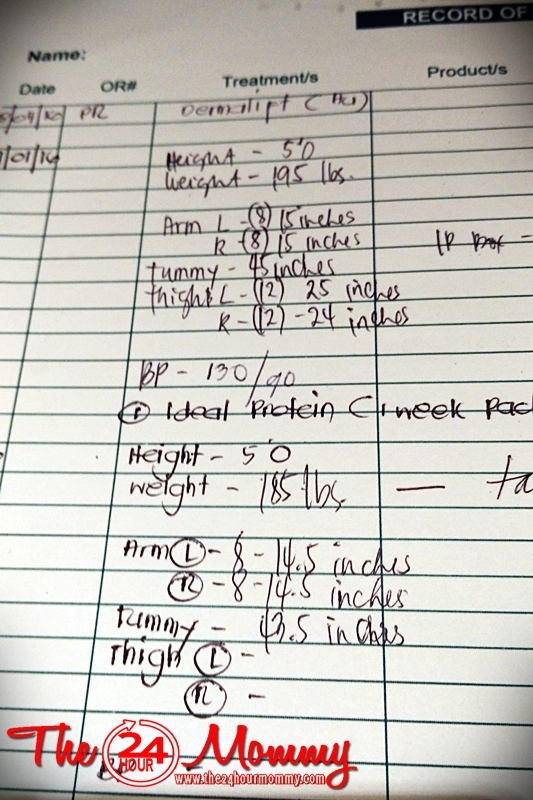 Fast forward to September 1, 2016, my short frame of five feet (5') already weighed 195 pounds, just five pounds short of getting qualified to the Biggest Loser TV program, ugh! Again, there's no one here to blame but myself. 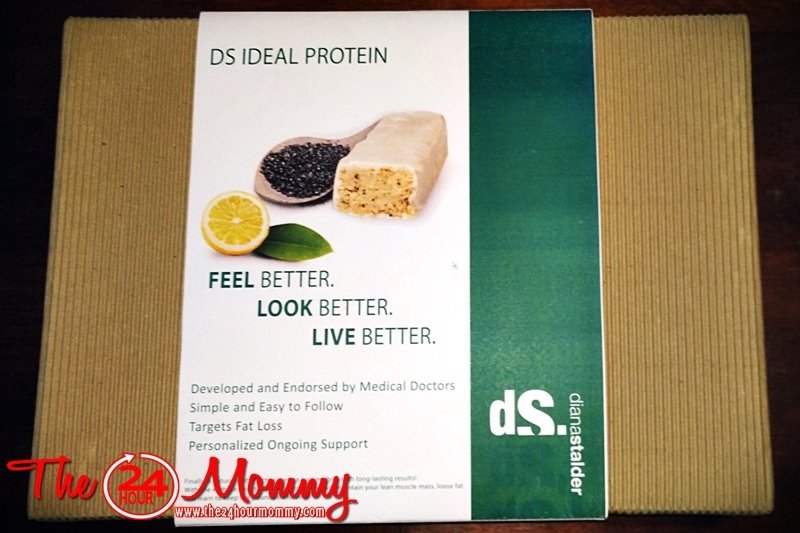 So when Diana Stalder and dS Cafe generously offered their clinic's customized Ideal Protein weight loss program, I was more than happy to give it a go. Ideal Protein is the Canadian-based, medically developed weight loss program that has been earning rave reviews not only in North America but also in other parts of the world. It has two (2) key components: weight loss and a healthier lifestyle education. It was developed 20 years ago by Dr. Tran Tien Chanh. Here in the Philippines, the program is readily available at Diana Stalder clinics and no other than its owner, who we now lovingly call "Coach Dina," will mentor users throughout the program. 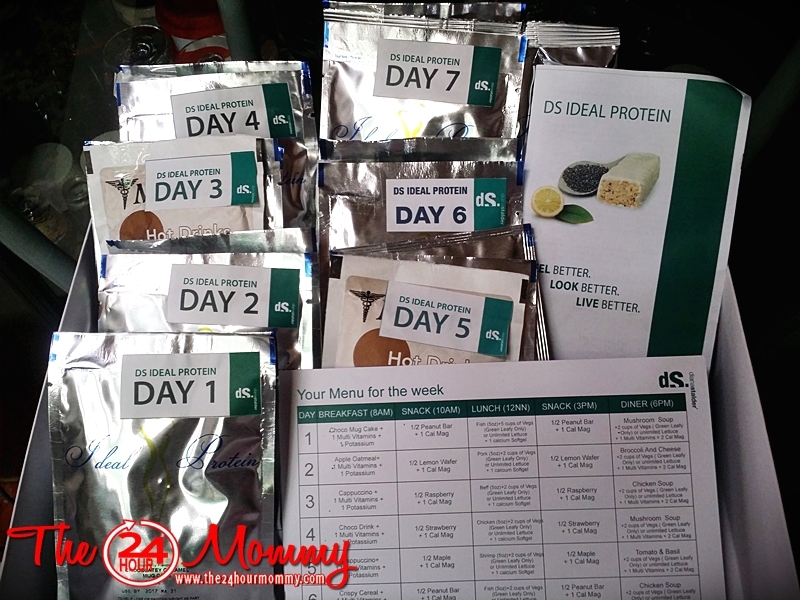 Diana Stalder's Ideal Protein weight loss program is conveniently packed into one-week boxes. Each box has all the Ideal Protein goodies one would need for the week plus multivitamin and mineral supplements. After I was weighed last September 1, Coach Dina taught me how to go through the week's menu and computed how many glasses of water I would need for a day. According to my weight that time, I needed 13 glasses of water a day and Coach Dina instructed me to drink a glass an hour from 8 am to 6 pm. I started my day with a glass of water with juice of 1 calamansi (Philippine lemon) at 7:30 in the morning. Then I had my breakfast at 8 am, morning snack at 10 am, and lunch at noon. Breakfast was a delightful surprise because I had an Ideal Protein Lemon Wafer bar which went perfectly with my mug of green tea. 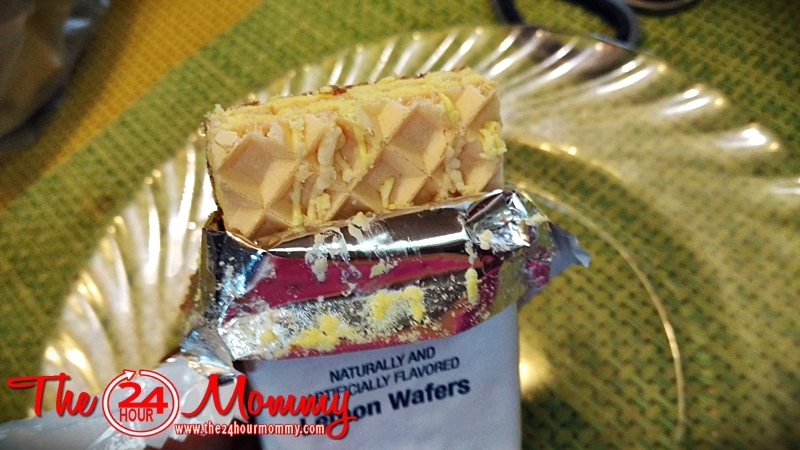 How can I even fret when I'm having chocolate covered wafer for breakfast? I left home after lunch so I just brought along the remaining half of the Garlic and Fine Herbs Crisps for my afternoon snack at 3 pm, and 2 cups of greens and the Brocolli and Cheese Soup that I already cooked for my dinner at 6 pm. I also brought along a liter or water that was the rest of my requirement for the day. It was the first time in years that I brought a lunch bag with me, haha! But the real challenge of the day was the boys' dinner time. We're already used dining out every Friday night once we fetch Ralph from his dormiory. Since I already had my dinner, I just stared at them while they devoured sashimi and katsudon, boohoo! Meanwhile, Days 2 and 3 were as challenging as we were out of the house the whole day. That Saturday, we visited my mom and she told me to stop dieting so I could eat the pinangat that she brought home from Bicol. Thankfully, sanity prevailed! Again, I just stared at my husband and son while they ate pinangat and longganisang guinobatan with fried rice! Yummy isn't it? It's just simple stir-fried broccoli, cauliflowers, and bell peppers in olive oil. For seasoning, I used Bragg's Aminos, Himalayan Pink Salt, and black pepper. The beef strips were also pan-fried in olive oil and seasoned with the same Pink Salt and black pepper. I also brought along with me a bag of green tea and a packet of stevia for sweetener. The following days were easier from then on. I felt like a rock star in the kitchen! Because I had to carefully select the ingredients of what I eat, I cook my own food which I seldom do nowadays. 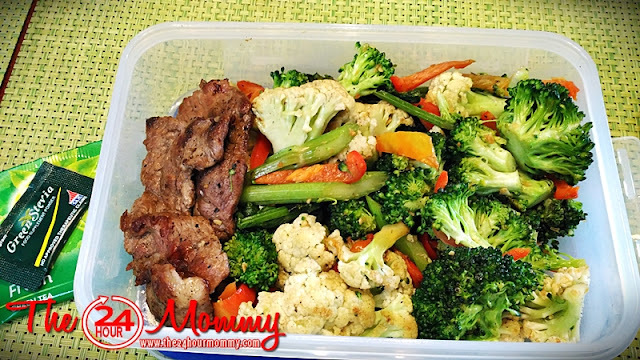 By Day 4, I was already used to cooking 5 oz of meat and 2 cups of veggies for lunch and another 2 cups of veggies and the scheduled Ideal Protein soup for dinner. Basically, the Ideal Protein program restricted my access to simple and complex carbohydrates so that my body will have no choice but to burn reserved fat. That meant no rice, pasta, bread, fruits, and even vegetables that have high starch content. Surprisingly, I didn't have a hard time weaning myself from carbs although I really had a bad craving for chocolate cake by Day 4. The solution? I slept early and just dreamt about eating a slice of chocolate cake! As you can see, from September 1 (195 lbs) to September 8 (185 lbs), I lost 10 lbs just by being faithful to the Ideal Protein menu that came with the box. No exercise at all because the diet is super low carb. I also lost 1 and 1/2 inch from my tummy and half-inch from both of my arms. I know I still have a long way to go but it's a good and encouraging start! Yes, losing 10 lbs in a week is possible and I have Diana Stalder's Ideal Protein weight loss program and my coaches, Coach Dina and Ms. Harriet to thank for that. It just takes discipline, diligence in the kitchen, and a bit of creativity in whipping up veggie dishes. If you're interested about the program, let me know by leaving a comment to this post so I can hook you up with the people of Diana Stalder. You may also message the clinic thru www.facebook.com/dianastalderbydermaline. As of now, I'm on my 2nd week on the program and I'm hoping I could lose another 10 lbs. I'm scared that I already reached the plateau stage, yet I feel lighter than last week which means I somehow lost weight again. I'm due for another weight and vitals check on September 15 and I'll be updating you guys again on my progress. I'm trying to lose exactly 17 lbs. If I could lose 10 of those in the fist week, I'd be ecstatic. Food looks good. This sounds like such an effective system! I think this would help me learn how to make healthier portions! This just goes to show that with proper nutrition you can get fit in no time. It's really about how you manage what you eat. I love that this diet is effective. That's awesome! This sounds like an awesome diet program. It's really imoortant that you eat well balanced meals instead of starving yourself. I'd love to learn more! It looks like this is really working for you and you are choosing healthier options. Great progress! This sounds like a lovely program! Lord knows I need to lose a few as well. Well done! The dishes you have cooked look delicious! I'm not sure if you could stay away from fresh fruit, though. I'm surprised a program could make you lose weight that fast. Congrats. Wishing you even more success on your journey. This is what I was looking for. I am also trying to loose weight and this post is really inspiration for me. wow, good for you! Keep up the good work. I'll check this out. Thanks for sharing! Wow! That's nice. It sounds like a completely healthy program to stick to, definitely worth a try if you're trying to lose weight! This is amazing! It definitely sounds like a program I'd be able to follow too - I love all the detail you shared about it! Congrats - this is great!